Welcome to the Cloud Animator Open Beta! Please post your SUGGESTION(s) and RECOMMENDATION(s) here. If you encounter any BUG(s), please report through FEEDBACK TRACKER. 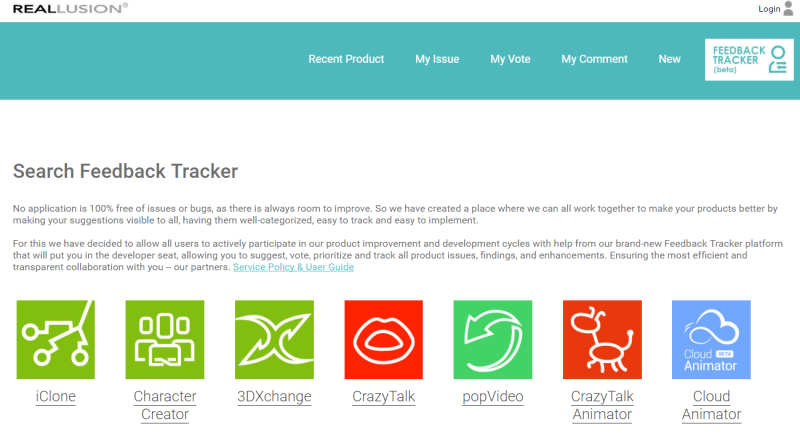 Feedback Tracker will help you to track the fix status of the bug(s)you reported. 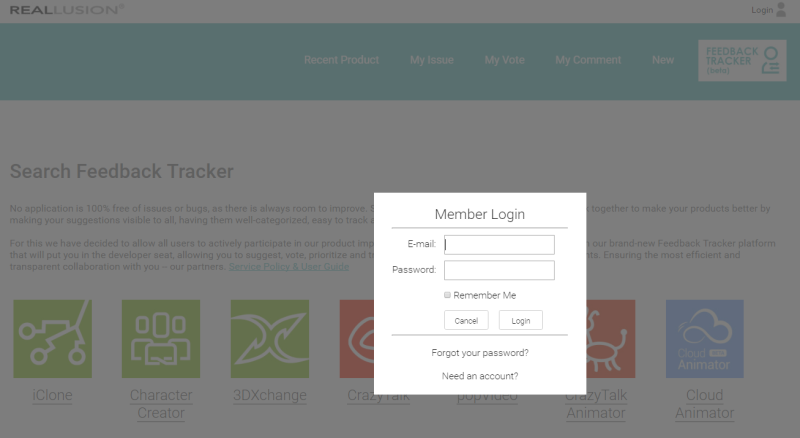 Before reporting, please go to FAQ section of Cloud Animator to see if the problem can be solved. Here are the currently known issues of Cloud Animator, these DO NOT need to be reported. 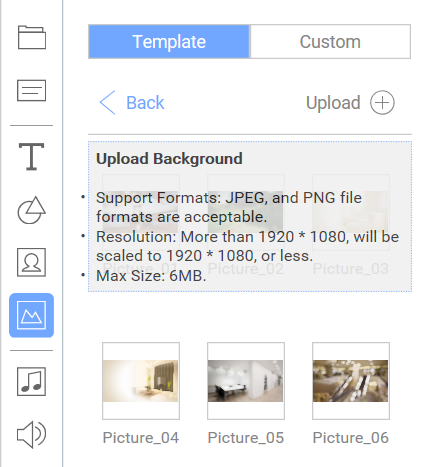 * Cloud Animator service only supports Andriod 5 or above/ iOS 9 or above. * This BETA will only work with the following browsers: Chrome, Safari, Firefox, Microsoft Edge, and please update your browser to the latest version. Bug reporting format, please check HERE. I just tested out the new Cloud Animator and I think it is fantastic. Very cool idea and can be very powerful for many practical uses on the web for musicians, artists, web designers, etc. I hope there will be a way we can purchase something so that we can take off your logo and info. Just so it plays clean on a website as we wish. I would buy it. Keep up the great work. Looking forward to seeing this evolve, hopefully it will just get better and more features. 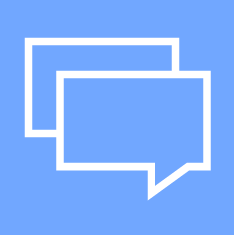 I already love iClone, but I really like this also to do some quick, easy and powerful way to communicate online with my fans, customers, friends, family etc. Looking forward to using the Christmas Templates on Cloud Animator.....Just one thing, could you please keep those of us who live in the Southern Hemisphere in mind when designing the scenes. That is......No Snow, maybe a beach scene. I Love Reallusion! I hope there will be a way we can purchase something so that we can take off your logo and info. The option to remove the logo will be available once the full version is released. The background image can be one of your own, you are not limited to the included backgrounds. Just click the Upload button as shown below to use one of your own backgrounds. When I'm uploading my own clips from my pc, I can't get transparent background. How do I solve this? Solved. Saved as png with chroma background color. I’m thinking of using the Cloud Animator to create a training project to use in April. It may be as large as 50 slides. Is there a size limit on the Beta version? Also when is the Beta due to expire? Will it at least be active during the first week of April? The maximum number of slides in Cloud Animator is currently 40. This normally is plenty for most projects. Regarding when the Beta will end, at the moment this has not been confirmed but it is tentatively scheduled for April / May 2017. Sadly at this time I can't be more precise than that.